We create, build, engage and nurture communities of consumers and professionals. Building communities of your peers, where shared knowledge and experiences become the basis of creative problem solving, relationships that matter, and growth that leads to success. 9.9 Media brings together the people you want to know and those who want to know you. We shape dynamic communities everywhere – in business, in technology, in government, in education. We provide the platform for peers to exchange ideas, share experiences and insights, develop partnerships and grow. Through powerful content, insightful events and tailored learning opportunities, we equip communities with the tools and resources that they need to succeed. Our wide range of digital publications keeps communities informed about their fields – the latest developments, expert opinions, sharp predictions and deep analyses. In short – everything you need to make informed decisions and realize success. We create opportunities for you to meet the leaders and hear from the experts. Our face-to-face and custom events enable communities to collaborate for impact, explore new ideas and forge important relationships. Our tailored educational programmes for professionals offer a unique blend of inspiration, learning and capability-building. Our aim is to inspire you, help you grow as a leader, and hone the business skills you need to reach the pinnacle of your career. 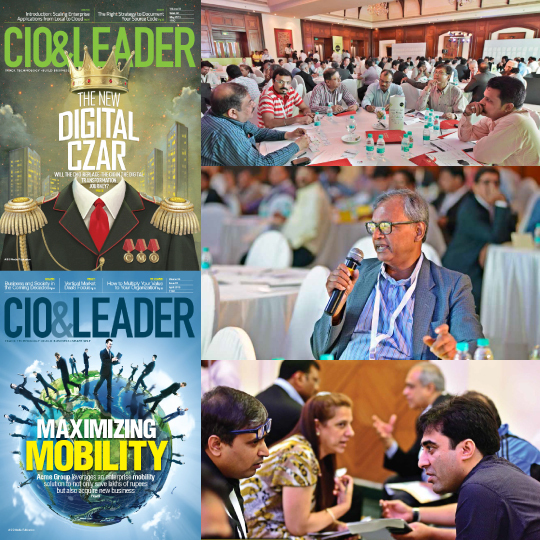 CIO & Leader is India’s leading fortnightly magazine for technology decision makers. It promotes the exchange of informed perspectives and insights on trends, management techniques and new IT business strategies among CIOs and other stakeholders. CIO & Leader is acknowledged as a trusted source of knowledge for top management responsible for balancing the demands on technology for growth and governance. 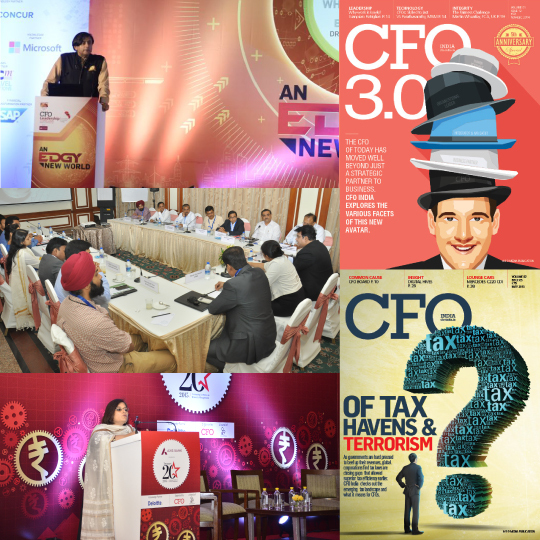 Launched in 2009, our monthly magazine CFO India provides a platform for leaders in the finance community to share experiences, exchange ideas and find solutions to challenges in a rapidly evolving environment. A high-quality editorial team brings together the most comprehensive and meaningful updates on current topics in finance to a loyal base of over 9,000 CFOs and senior finance professionals. Our conferences and webinars enable the dissemination of collective wisdom and leadership skills. CFO India thus creates opportunities for senior executives to engage with subject matter experts, policy makers and other leaders. 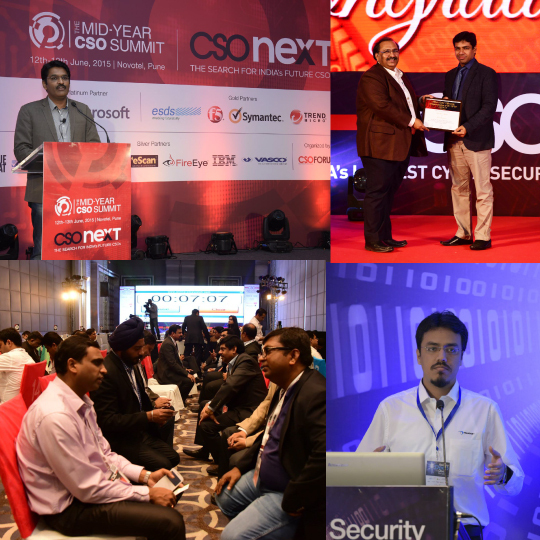 A community-led and community-driven platform on corporate security issues, CSO Forum draws on peer engagement and collective wisdom to promote best practices and set benchmarks. CSOs are increasingly expected to contribute to business success by effectively managing the risk profile of organizations. Given the enhanced ask from the role, there is a need for pioneers, for collective problem solving and agenda-setting, for research, tools and insights, and for peer engagement. By bringing together the leaders in the field and providing timely, relevant content, CSO Forum caters to this very need. 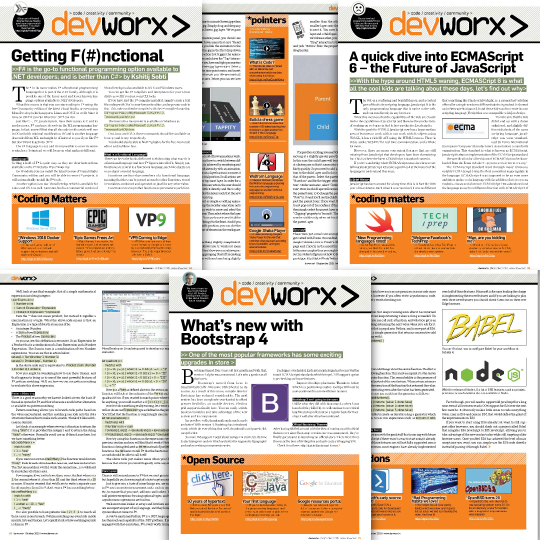 Devworx is a valuable resource for developers in India. Tailored to meet their specific needs, Devworx brings together developers and platform owners through on-ground events, hackathons and meets. Devworx has partnered with and enabled some of the largest players in the industry, including Microsoft, Google, Samsung and Intel, among others, to engage with young aspiring application developers via events, competitions and content. Digit caters to the largest community of tech buyers, users and technology enthusiasts in India. 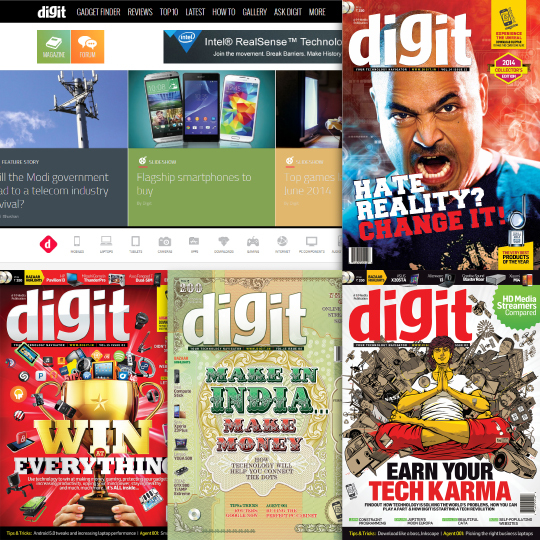 Digit is one of the most trusted names when it comes to technology reviews and buying advice and is home to the Digit Test Lab, India’s leading centre for testing and reviewing technology products. 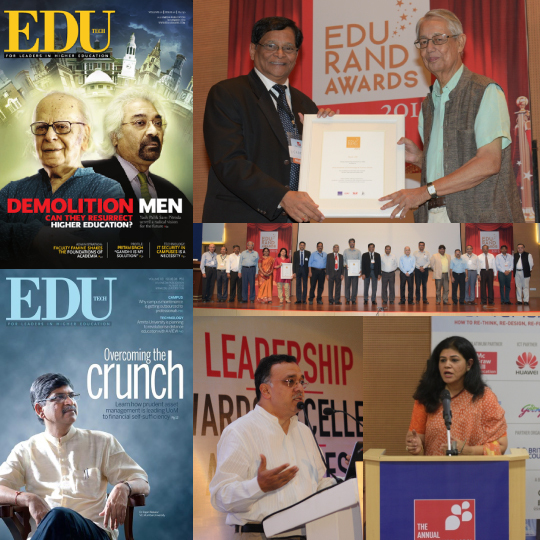 EDU targets the leaders of the Indian education sector. 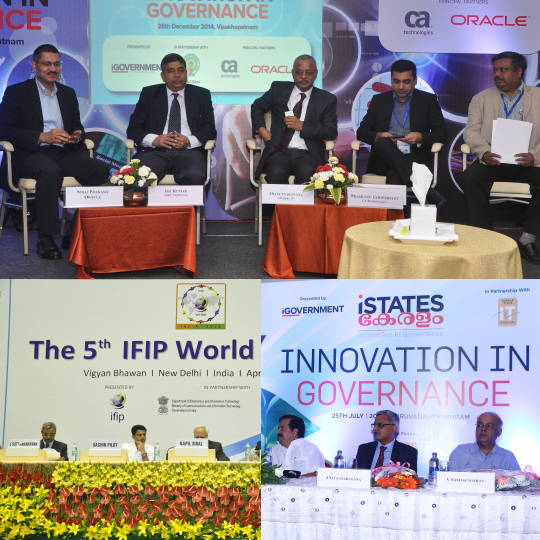 We provide an impartial and reliable forum for educationists and visionaries, covering essential topics such as the latest developments in policy formulation, technology implementation and best practices in institute administration and management. EDU serves as a platform for opinions and debates that address the challenges that are unique to the sector. EDU thus empowers key decision makers with the information and ideas they need to build and lead world-class institutions and plays an important role in invigorating the higher education sector. The magazine is complemented by its website www.edu-leaders.com and publishes daily news updates and features of interest to its audience. The last few months have also seen the launch of an app for EDU. iGovernment seeks to create a platform for peer-to-peer learning among key stakeholders in the Indian government and public sector. We work to bring together senior government officials to find new and innovative ways to improve administration and public services by acting as a knowledge network for government. The central theme that drives all our outreach efforts is the use of technology for better governance, in fields as diverse as education, agriculture, policing, procurement and areas where technology intersects with the delivery of public services. 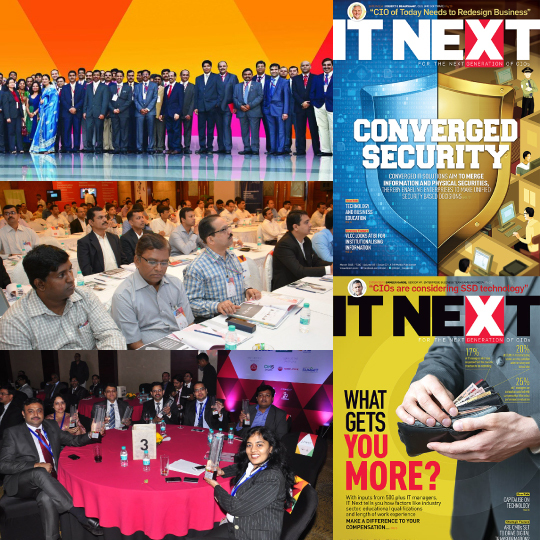 IT NEXT is the only media platform in India that gives you direct access to the 60,000-plus IT managers across 15,000 companies in India, including the top 1,000 organisations. IT managers play a critical role in evaluating and proposing appropriate technology investments for an enterprise. IT NEXT creates the platform for vendors to engage with IT managers, ensuring that the former are able to showcase their products and the latter can take informed decisions. Our mission is to help aspiring CIOs and experienced IT managers succeed professionally by providing relevant content in contemporary formats and platforms. 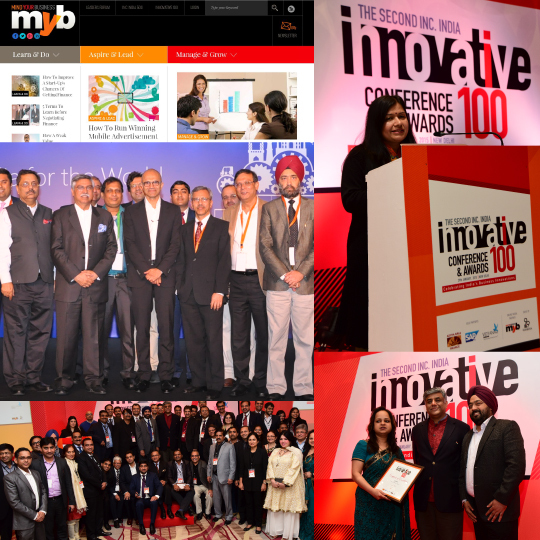 MYB aims to be the defining media platform for the underserved mid-size business community in India. Today, SMEs are a critical engine of India’s growth, but there is no best-in-class platform for these entrepreneurs to interact with one another and share best practices. MYB was born from 9.9 Media’s endeavor to fill this vacuum. By engaging them through content, knowledge sharing and networking opportunities, we provide business owners of mid-sized, high growth companies with the resources and connections they need to succeed. Launched in 2003, SKOAR! is today India’s premier gaming website. 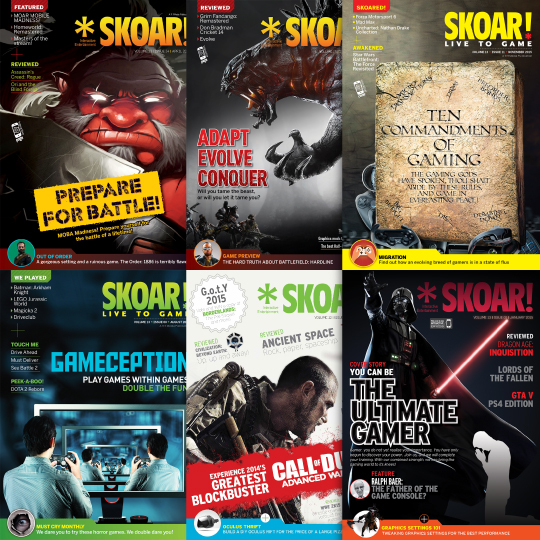 An interactive magazine with an online presence, SKOAR! keeps you up to date and in the game.